16 men set of on foot, clad in armor and burdened with muskets to explore the heavily wooded land that bordered the sandy beach. Finally, following a deer trail, they found a spring of fresh water. Today, that water still bubbles out of the ground. Later, they found “ a fine clear pond of fresh water, being about a musket shot broad and twice as long.” By now the explorers were tired, but as they headed back to the beach, a heap of sand caught their attention. Today, this spot is called Corn Hill and is where the Pilgrims uncovered a basket containing 3 to 4 bushels of corn. They took it, vowing to repay the owners when they found the people it belonged to. On the fourteenth of July, 396 years later, over 40 Massachusetts Mayflower descendants of these brave explorers re-traced the Pilgrims’ Lower Cape journey. 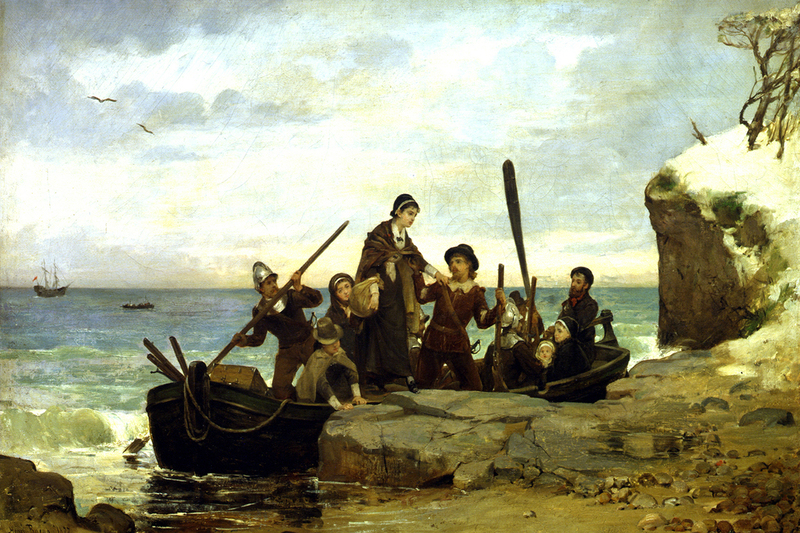 Throughout the day they traveled to many of the places the Pilgrims visited during the weeks they spent anchored off the coast of the Lower Cape. 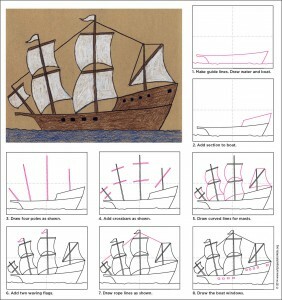 IF YOU WERE A PILGRIM CHILD…..what would be your responsibilities in the New World? There were 32 of you, your parents made all your choices for you, and you would spend most of your time working and learning the skills you would need to survive as an adult. There were no stores where you could buy food or clothing, or light bulbs or books. You had to learn to make or grow everything you needed. Even 5 year olds could run errands, fetch wood an herd the chickens. 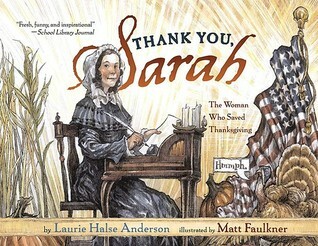 When girls were older, they helped their mothers so they could learn how to run a household. They would garden, learn to cook and preserve food, sew and mend. Older boys would help prepare the fields for planting, harvest the crops, tend live-stock, hunt, fish, and do any woodworking the family needed. Someone needed to know how to make bowls, beds and tables! Children didn’t go to school...there weren’t any, but the parents would teach reading and writing...only after the chores were done and in the winter when there was less to do. The most common book in the Plymouth Colony was the Bible, so the children would learn to read Biblical passages. Yes, if playing improved their bodies and their minds. They played Leapfrog, marbles and “ball and cup”. They also played board games like Naughts and Crosses (tic, tac, toe). 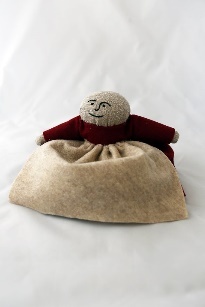 They also had cloth dolls which they called poppets. Try out the Wampanoag Toss and Catch Game, a great way to develop hand and eye coordination! Tie one end of the string to the stick, about 2 - 3 inches down from one end. Make sure the knot is tight. Wrap the piece of vine to make a circle about 1 ½ or 2 inches in diameter. Wrap it several times, and then twist the free end around the circle to hold it in place. Tie the other end of the string to the vine loop. You’re done! Now give it a try. The object is to swing the loop out and up and try to catch it with the end of the stick you are holding. Once you master the toss and catch with one hand, try it with the other. What would you eat and drink? Beer was the drink the whole family, even children, liked the best. You were lucky if you lived in one of the few families who knew how to brew beer; otherwise, you drank water which the Pilgrims thought was unhealthy. You wouldn’t drink milk. Do you like to eat deer or swan? Those were delicacies, and lobster was everyday food. Just go to the beach where lobsters could always be found. Until ships began to arrive regularly, you could go years without sugar, butter, oil, vinegar and wine. These biscuits were made to last for a very long time...even 66 days, which was the length of the Pilgrims’ journey to the New World. The original recipe has only 3 ingredients, so the biscuits would be very hard. Add these ingredients and the biscuits will be easier to chew and taste a little better! Measure the flour and salt into a mixing bowl and blend together. Measure the milk and butter and place in a saucepan over very low heat until butter melts. Add the milk and butter to the flour and mix until you have a dough, kneading the dough until all the flour is absorbed (it should be thick, shiny and stiff). Roll the dough until it is fairly thin, about ¼ - ½” thick. Cut the biscuit shapes using a round biscuit cutter or the rim of a small cup or glass. Place on a baking sheet and prick all over with a fork or toothpick to let out any air while cooking. Bake at 325° until golden brown (check at 20 minutes, then every five minutes thereafter for 30-40 minutes). Allow more time if biscuits are cut thicker. Turn off the oven and let biscuits cool completely in the oven. Store in a dry place until you need them for a 66-day voyage! The biscuits should be dry throughout or they may get moldy when you take them to sea. "How Chipmunk Got His Stripes," by Joseph Bruchac et.al. "Mayflower 1620: A New Look at a Pilgrim Voyage," by Peter Arenstam et.al. Dandee shares a free template and tutorial to make these Mayflower place cards for your Thanksgiving table. 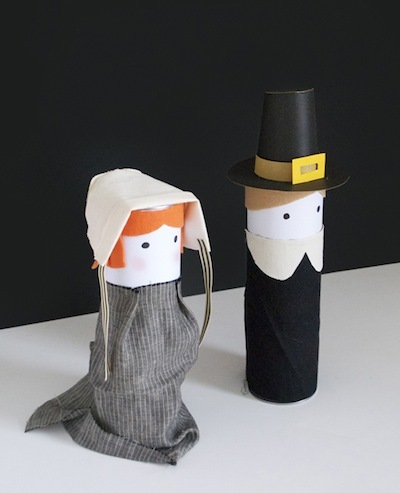 If you've got some Pringle cans you can make these cute Pilgrims from scrap fabric and paper with these steps from Julep. It looks like it should work with toilet paper rolls too. 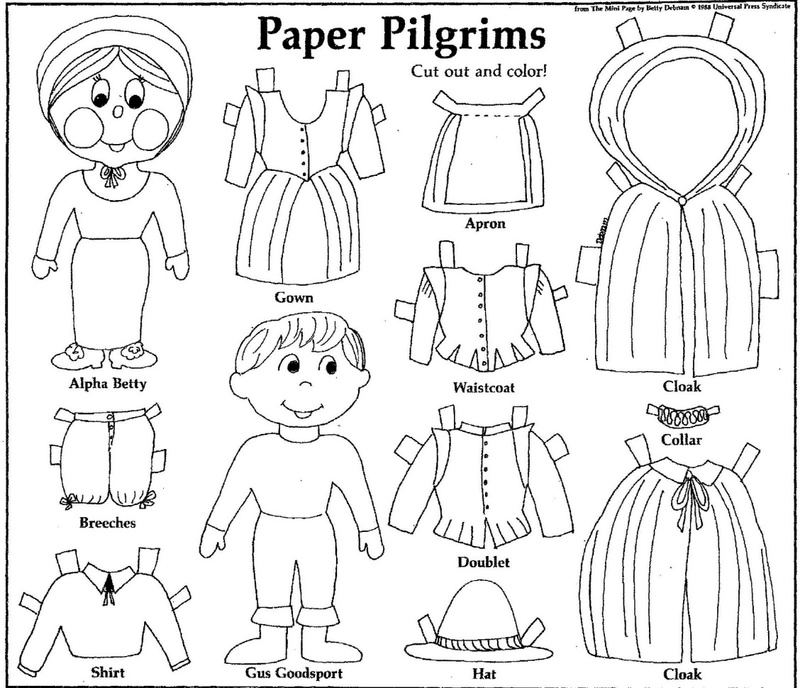 Print out the page, color and then cut them out and make your own paper Pilgrims! 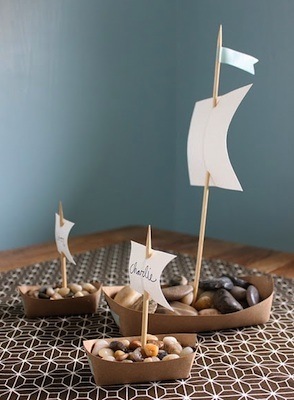 Print out the page, color and then cut them out and make your own paper Ships!